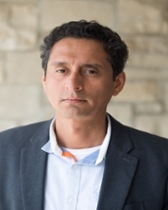 Jorge Coronado is Professor of modern Latin American and Andean literatures and cultures at Northwestern University. His undergraduate courses range across the 19th and 20th centuries and draw from various disciplines and cultural practices, such as history, anthropology, music, photography, and literature. His graduate courses focus on two areas: literary and cultural theory and Andean studies. He has taught in the department of Spanish & Portuguese as well as in Comparative Literary Studies and Latin American & Caribbean Studies, where he is a core faculty member. He is the author of The Andes Imagined: Indigenismo, Society, and Modernity (Illuminations: Cultural Formations of the Americas series. University of Pittsburgh Press, 2009) and Portraits in the Andes: Photography and Agency, 1900-1950 (Illuminations: Cultural Formations of the Americas series. University of Pittsburgh Press, 2018). A co-edited volume on visual practices in relation to notions of landscape and region entitled Visiones de los Andes. Ensayos críticos sobre el concepto de paisaje y región (Entretejiendo. Crítica y teoría cultural latinoamericana series. Plural Editores and University of Pittsburgh, forthcoming) will appear in 2018 in La Paz. Currently, he is working on two book projects: a manuscript tentatively entitled Lo andino: región, cultura, concepto that explores how the region has cohered in the cultural imagination since the early 19th century, and a study of the strange lettered practices that subalterns produced in early 20th century Latin America by tergiversating intellectuals’ tutelage to their own ends. He has won funding for research and academic initiatives from the National Endowment for the Humanities, the Rockefeller Foundation, and the Mellon Foundation, among others. He has been a Visiting Professor at the Pontificia Universidad Católica del Perú and lectured broadly at universities in Latin America, Europe and the United States. At Northwestern, he has been active in building the Department of Spanish & Portuguese and the Latin American & Caribbean Studies Program. He served as Chair of the former for two three-year terms. He is currently Co-Director of the Andean Cultures & Histories working group (ACH) at the Buffett Institute for Global Studies. He sits on the editorial boards of the PMLA, the Revista de Estudios Hispánicos, and Iberoamericana Vervuert's Los ojos en las manos book series.